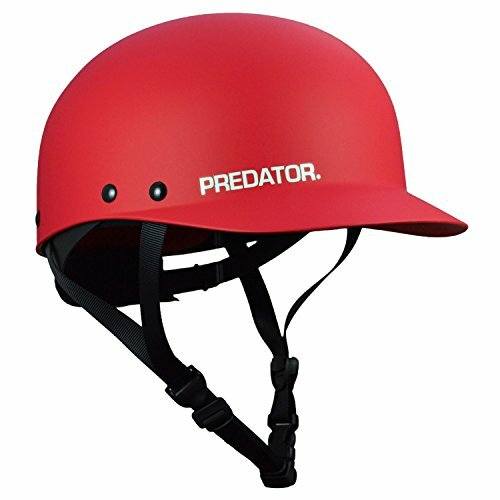 Predator Shiznit Kayak Helmet - The Shiznit Kayak Helmet by Predator is a lightweight freeride helmet. The Shiznit can be worn with the visor front or back. When compared to helmets with longer visors, the Shiznit 1-1/2"(4cm) visor provides sun protection and improved safety by reducing bucketing and roll back. The shell is made of high impact, Ralvek thermoplastic for increased stiffness and protection. A comfortable closed-cell waterproof EVA foam is used to dissipate impacts. For a locked-down fit, the Shiznit features the Croc-Lok rear adjustor. Other features include top quality webbing and buckles, locking side divider, stainless steel chinstrap rivets and CE-1385 certified. The Shiznit Kayak Helmet by Predator will keep you having fun on the water. If you have any questions about this product by Predator, contact us by completing and submitting the form below. If you are looking for a specif part number, please include it with your message.